What they are describing is a Frenetic Random Activity Period (FRAP), commonly referred to as the puppy zoomies. It’s totally normal for puppies, to have a daily FRAP ritual. And since dogs are most active in the early morning and early evening hours this is when FRAP attacks are most likely to occur. So, what do you do when your puppy is running around like his hair is on fire? Direct that energy onto a chase toy, such as a flirt pole or a long, braided fleece toy. 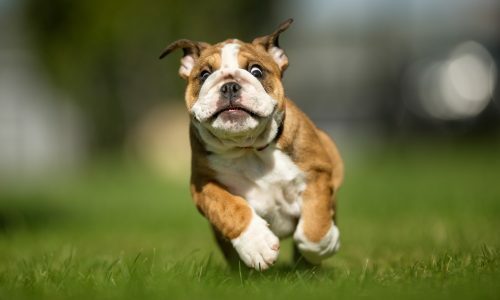 If your puppy gets wild about the same time each day, instead of waiting for the FRAP attack to occur, head it off with an energy draining game of toy chasing or fetch. For the most part, FRAP attacks don’t last long and puppies grow out of them so try to enjoy your puppy’s enthusiasm for life, maybe even join in!